The Jewish community of Puerto Vallarta will be printing a beautiful Jewish calendar that will be distributed to businesses, condominiums, and hotels throughout the Puerto Vallarta region. 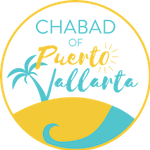 The hundreds of Jewish residents, thousands of Jewish snowbirds who make Puerto Vallarta their home, as well as countless others who have an interest in the Jewish community and their business will read it and hang it on their walls, thus ensuring your business full exposure throughout the 12 months of the year. The calendar will have photos of the communities’ events, descriptions of our services and holiday programs, and will provide a dual solar/lunar date system, making it easy to keep track of Jewish holidays, Yartzeits (day of passing)of loved ones, and Jewish birthdays. click on the links above to get all the details of how you can get involved in this beautiful project. The Calendar will also feature space for your families special occasions, i.e. Yahrtzeits, birthdays and anniversaries printed in the calendar on the date of the occasion. As this is part of our fundraising projects, your greeting or advertisement is crucial to our growth and continued ability to serve the community. We thank you for being part of the community, and thank you in advance for your support.